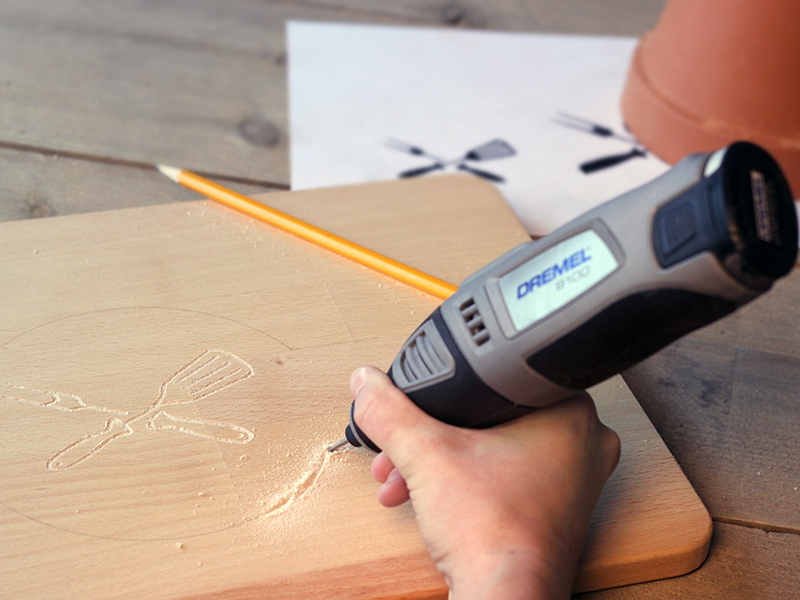 You now have the DREMEL® 8100 - Outdoor Project Kit, you’re ready to engrave the included chopping board, but not sure what design? Select one of the designs below and download to start personalising your chopping board in no time. 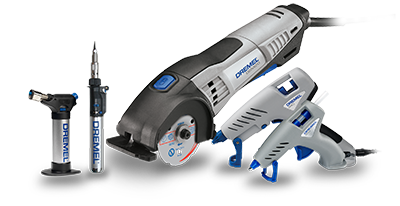 Dremel has developed a number of high speed corded and cordless Multi-Tools. Every tool has specific features that makes it unique in its class. 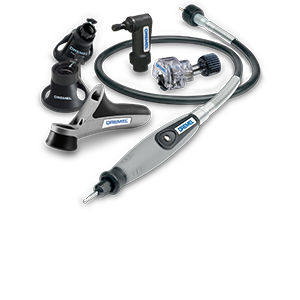 Dremel has developed each tool to meet the highest quality standards to optimise your enjoyment and comfort while working. 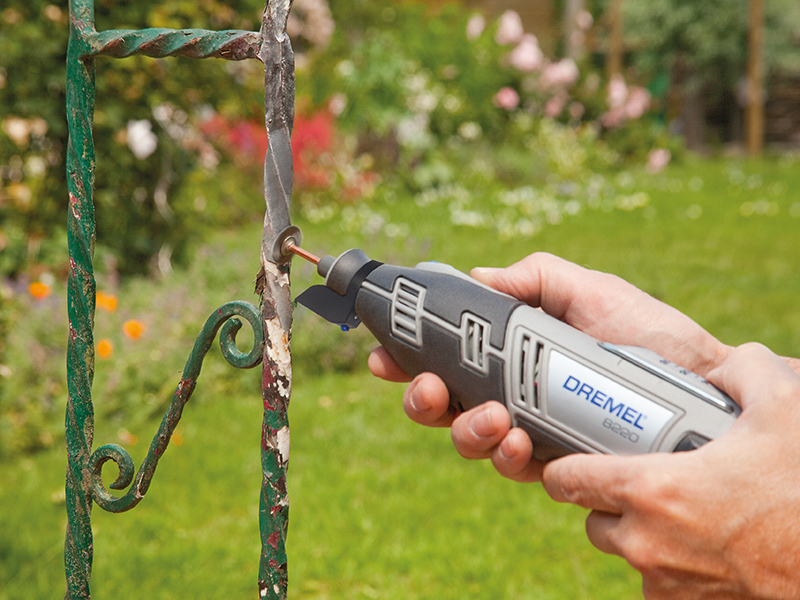 Dremel Multi-Tool combined with the right accessory allows you to reach the perfect result in all applications. Its variable high speed make possible to carve, engrave, rout, sharp, grind, clean, polish, cut and sand all kinds of materials. The Dremel line has many different attachments which makes your Dremel Multi-Tool more versatile. The Dremel attachments expand the usability of your Multi-Tool, so you can do your job with even more precision and ease. 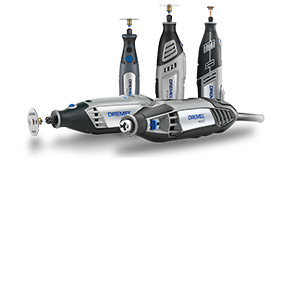 Dremel offers attachments to rout, control, cut, saw, sharpen and to reach. 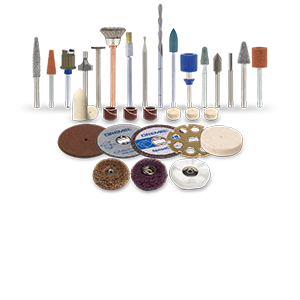 Dremel offers you a wide variety of high quality accessories for different applications. To help you select the right accessories, Dremel has created a colour coding system: every colour represents a category of applications. You can carve, engrave, rout, sharp, grind, clean, polish, cut and sand all kinds of materials. 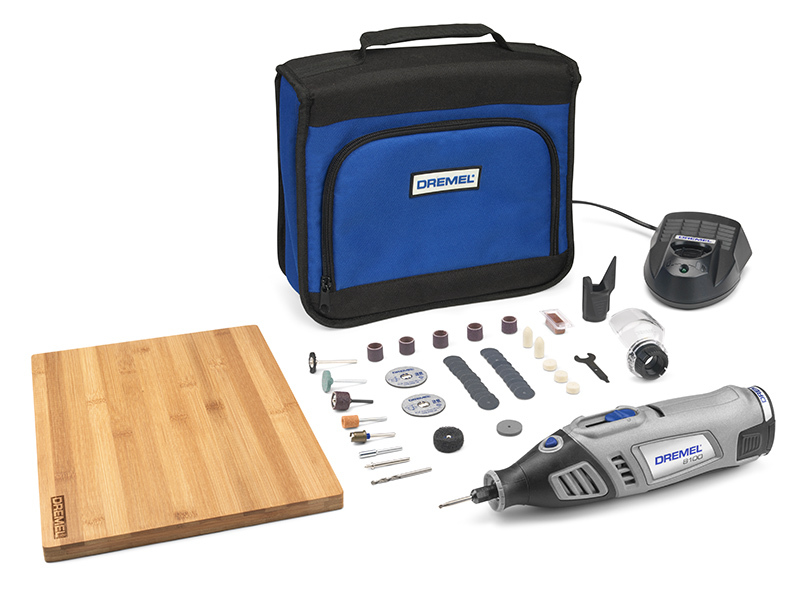 No matter which materials you want to work with, Dremel has a solution for you. Multi-Tools come with a large variety of accessories. 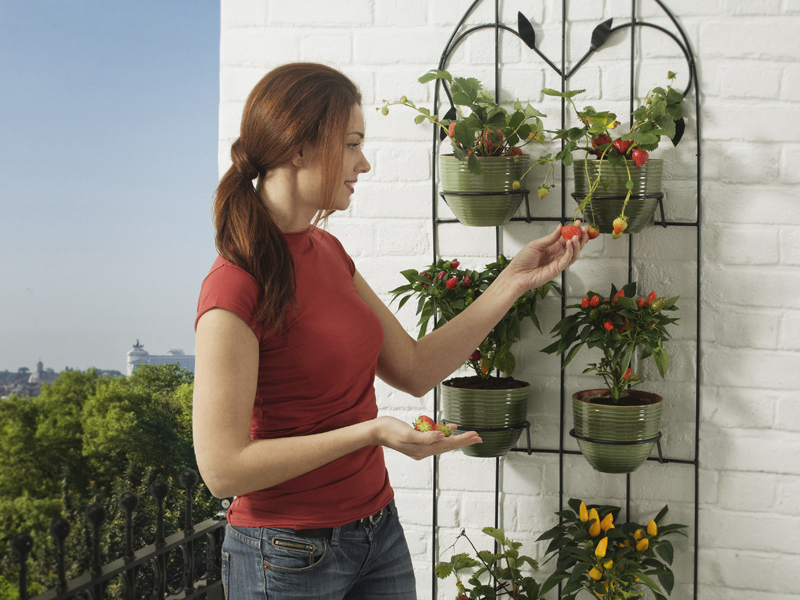 Whether you’re changing accessories within one project or you’re starting with a new project, the EZ system allows you to be able to get to the next step quickly and easily. Check out the video on the right, to see how the 3 elements of the EZ System, EZ Twist, EZ Change and EZ Speedclic work. Mount the grinding stone (932) on the tool (tip: have the shank of the accessory almost fully in the collet nut). Remove the nose cap and mount the sharpening attachment (675) on the tool. The diagonal part of the attachment has to be on the side you don’t want to sharpen (see the picture). Turn on the tool and start sharpening at a perfect angle. Make gentle horizontal strokes, until you’ve reached your desired result. 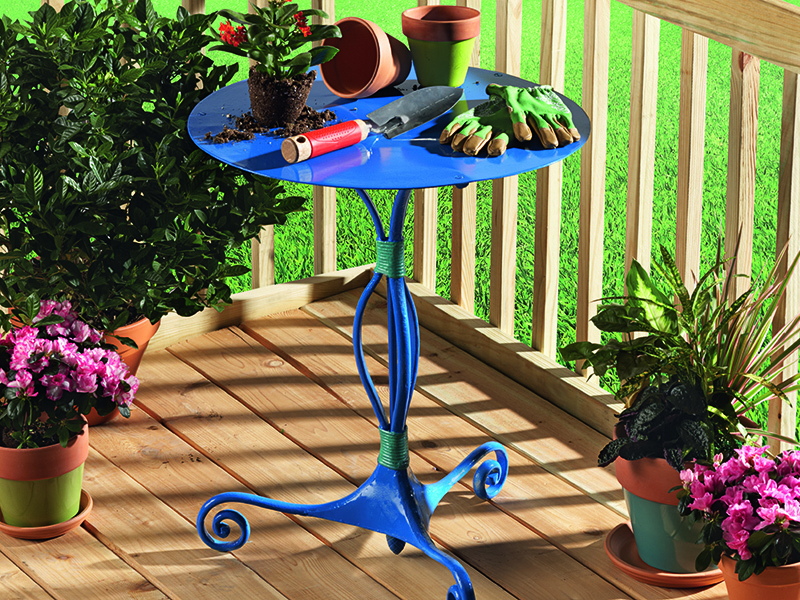 Use the sanding band and mandrel (407) to gently sand off the rusty parts on your garden furniture. Use the Bristle Brush (403) to deburr the parts you wish. After derusting and deburring, you can repaint the furniture if needed. Choose a nice design and draw the design on the chopping board. Proceed with engraving by tracing the lines of your drawing on the chopping board by using the high speed cutter (191). You can drill a hole with the Drill bit (150) for e.g. a hanging tag or to be able to hang the chopping board with a cord. Use the sanding band (407) , sanding disk ( 413 /411 with mandrel 401 ) or abrasive buff ( 511S with mandrel SC402 ) to remove wood chips or uneven parts on the board. Use the sanding band and mandrel (407) , to gently remove old material or paint from wooden furniture. The best way to do this, is by making gentle strokes on the material. 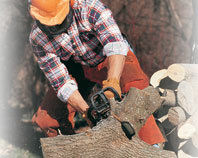 For removing rusty parts and dirt from your grill, mount the grinding stone (932) on the tool. To keep yourself clean during this project, also mount the comfort guard (550) and start cleaning your grill. 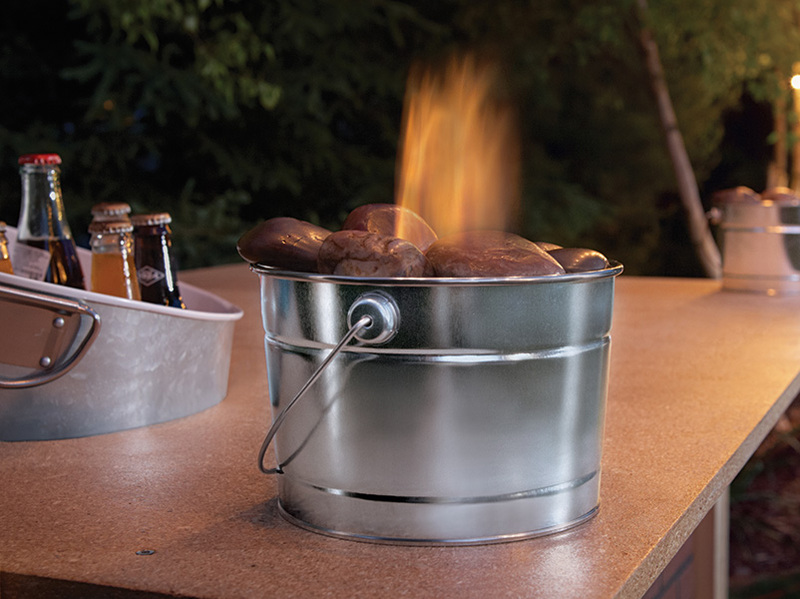 For stainless steel parts on the lid or for the grill itself, use the polishing accessories to make them shine. You can use the polishing cloth (414 & 422 with mandrel 401 ), the polishing wheel ( 425 with mandrel 402 ) or the bristle brush (403) together with the polishing compound (421) for the best result. 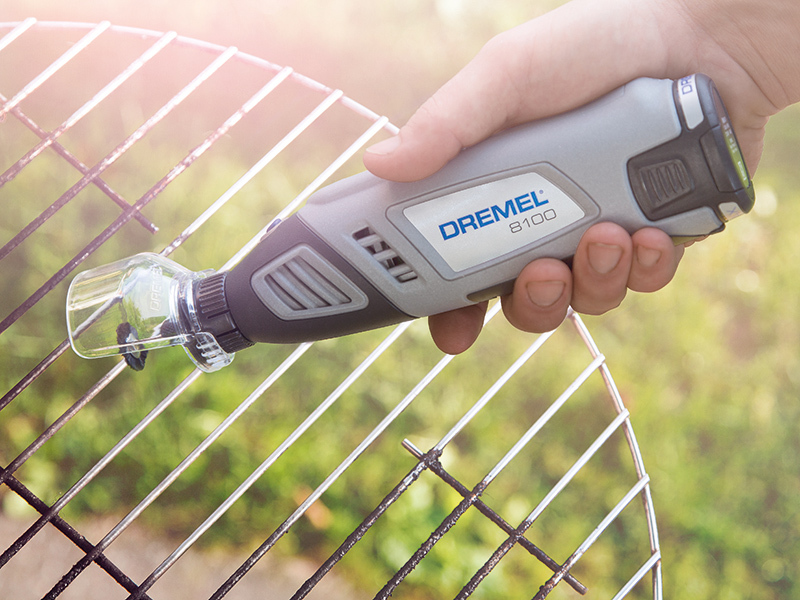 The Dremel 10.8V Lithium-ion cordless rotary tool is ideal for use with the Dremel chain saw sharpening attachment because it allows sharpening of chain saw blades in remote locations away from electric power. Add some ambiance to your outdoor party with a personal fireplace. Give last-year’s patio furniture a fresh, bold look this Spring. 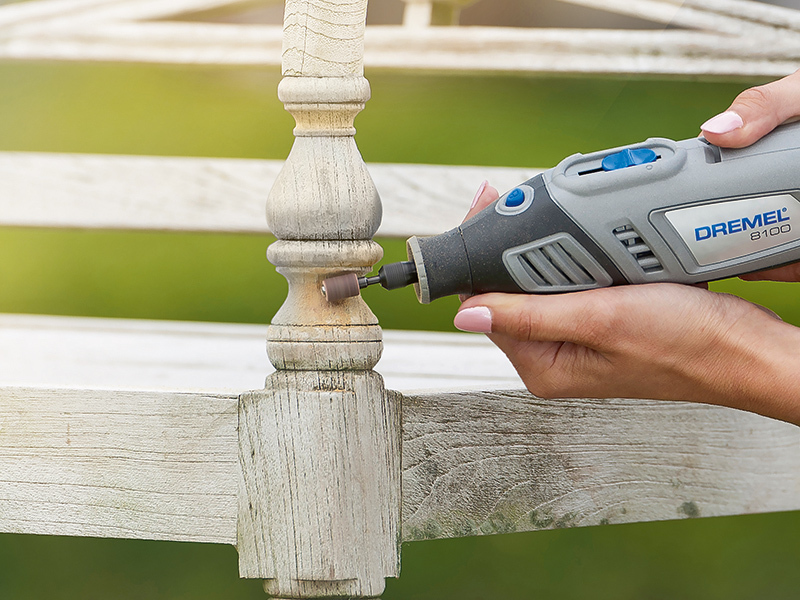 Restoring weathered patio furniture is easy with any Dremel® Multi-Max tool and Rotary tool with the right accessories. 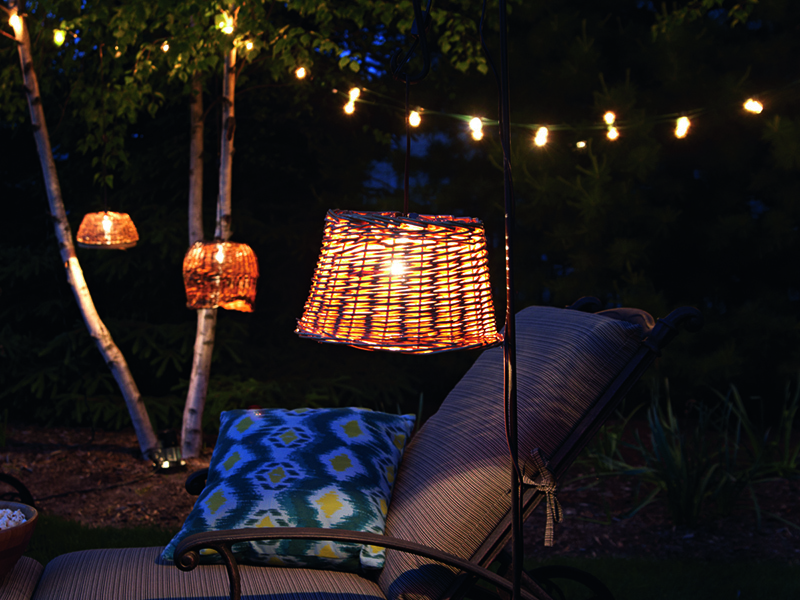 Re-use old baskets to create a cozy look to your outdoor hang-out! 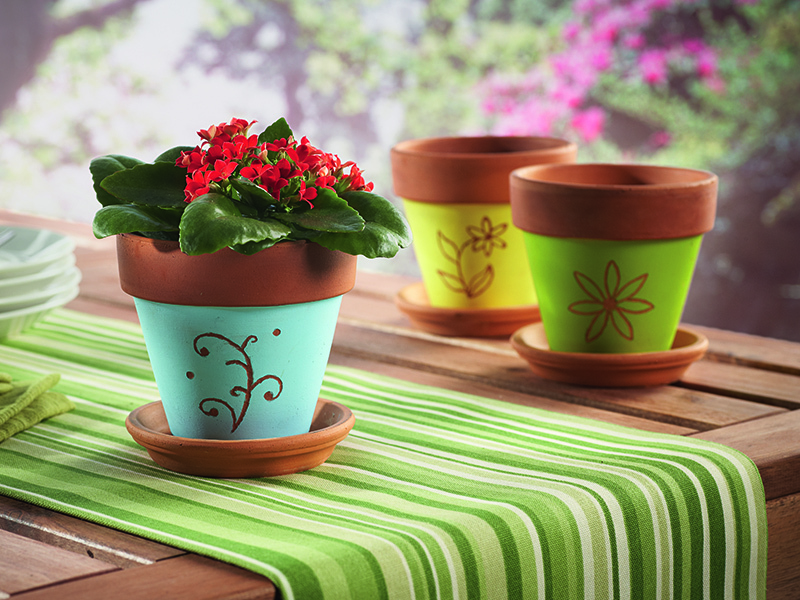 Why not make something beautiful out of a small bare paved courtyard. 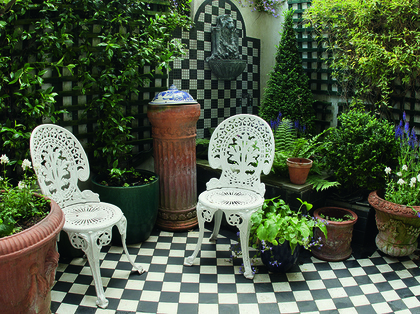 Add some tiling, a raised flowerbed, some pots and some painted trellis – plus some gorgeous scented plants – and sit back with a glass of wine and a book. 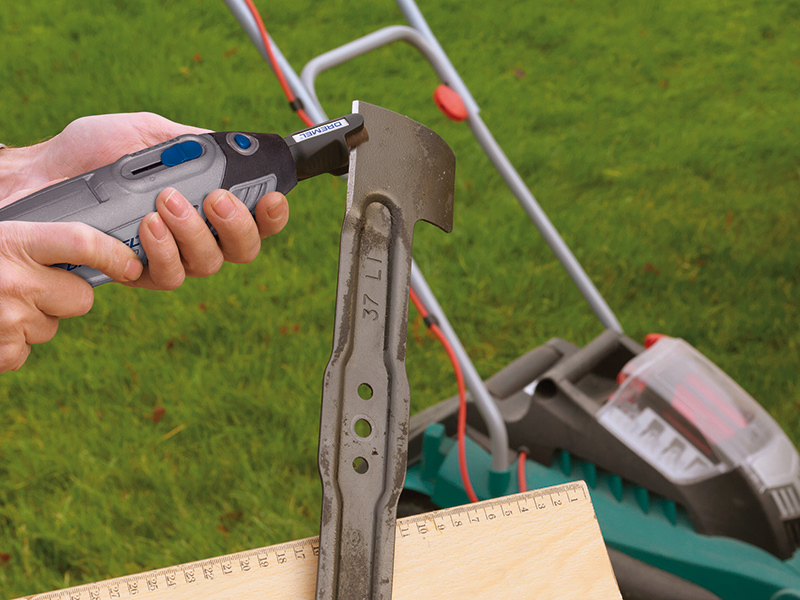 It’s worth the effort and needn’t take long using your clever Dremel® 8200. Simply follow our step-by-step guide and use our images to inspire you!